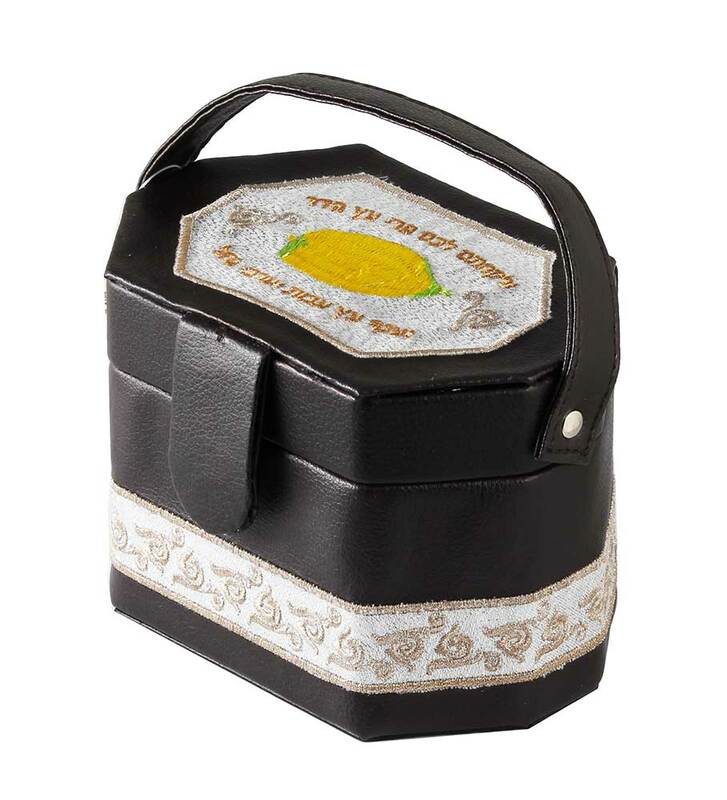 Very elegant leatherette Esrog box for safe storage of the Etrog fruit. Item has an embroidered design with a Succot theme. This box has a strong and safe magnetic lock so the cover should never pop open easily. The interior is lined with a black lining.